Every household should have a bottle or two, of organic or raw honey for its amazing health benefits. The health benefits of honey are so amazing that it’s such a shame they have become almost forgotten with the introduction of sugar and sugar substitutes. Honey is not just a sweetener for foods and drinks, but is actually an ancient form of medicine that is nutrition-packed. Top athletes use honey water to boost and stimulate their performance. They swear by it and you won’t catch them drinking poisoned chemical sports drinks. There are many pretty jars of honey on shop shelves. They are the clear and “clean” looking ones—steer clear of them! These pretty jars are fake honey which have been heavily processed and blended with corn syrup or plenty of sugar. These are not genuine honey at all. They may cause more harm than good. The best way to buy honey is locally from a beekeeper or a local farmers’ market. Those are more often raw honey. Raw honey can prevent hayfever-type symptoms because of the pollen spores it contains. It actually de-sensitizes you. Only spend your money on the best, good organic honey as they can only be labeled as such if it is produced under strict guidelines. 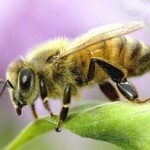 The bees are not subjected to any form of pollution. Always read the labels on the jar, nothing added, nothing blended, just pure honey is what you should look for and buy. Most people go to the chemist or drug store for cough, cold and flu remedies, seeking a product with honey and often lemon in the ingredients. They know it is supposed to be good for them; but, they are very often wasting their money. A glass of warm water with raw honey and fresh lemon juice is far more effective. Raw honey contains the antioxidants we need in our daily diets to mop up those free radicals which are so harmful to our health. In fact honey contains far more antioxidants than some fruits and vegetables. However the combination of the two is indeed an excellent way to eat healthily. Like propolis, raw honey has the right enzymes that help to ensure our foods are digested properly and it’s extremely helpful for irritable bowel syndrome. Eating honey also stimulates B-lymphocytes and T-lymphocytes making them multiply, thus boosting the immune system. Thousands of years ago Hippocrates (we know him as the author of the Hippocratic Oath) cured most of his patients with honey. He dedicated most of his life to the healing of sick children who thrived on the nourishment of the honey they were given. Today there are many health and medical benefits of honey of which we are becoming once again aware, all of which are documented in many medical journals. Perhaps the most famous “modern doctor” in this field is Dr Peter Molam. He is a scientist who works at the Waikato Honey Research Unit in New Zealand. Dr Molam has spent almost his entire life researching and proving the benefits of honey. We must give credit to Researchers at the Hebrew University of Jerusalem who have proved that taking two to three ounces of healing honey a day wipes out the toughest to treat stomach ulcers. Honey helps stop a stomach ulcer from forming or healing one, if present. All you need to do is eat two to five teaspoons of good raw honey every day. Honey also helps eliminate MRSA the dreaded flesh-eating disease which rears its head quite often. E-Coli is yet another disease that doesn’t stand a chance once honey gets a grip. 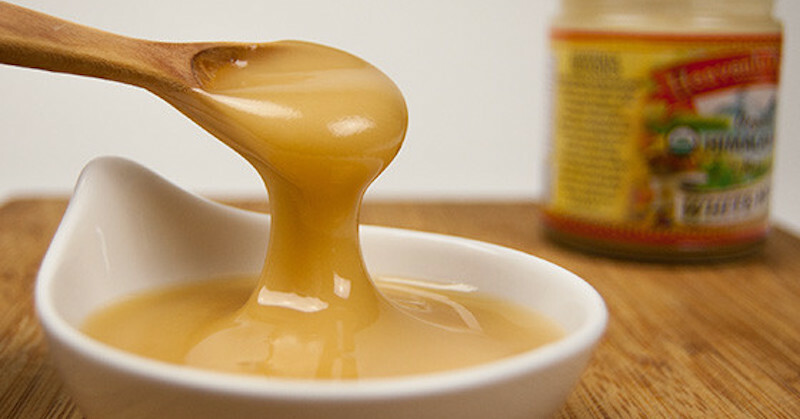 Hospitals today use “Honey Dressings” called Medi-Honey. These are applied to all kinds of skin infections such as bedsores, burns and even babies nappy rash with spectacular results. In fact honey heals these infections faster than any chemical medications. Even after major operations honey is the preferred dressing in today’s hospitals. Apart from being sweet, aromatic, and tasting nice, honey cures most ailments due to its ability to eat away and destroy bad bacteria (stomach ulcers are caused by these bacteria, not stress) without destroying the good bacteria we need in our digestive systems and on our skin, to promote healing. Can you think of a more versatile food source than good ole pure honey? Honey can be used in cooking and baking, can be mixed with fruits to naturally sweeten a delicious smoothie, will calm a tickly cough thus enabling sleep, can be used as a beauty product for the skin and is an amazing natural medicine just to name a few of its benefits. All of this and more is due to the tiny insect called the “honey bee”, the only insect that produce food for human consumption. It’s little wonder then, that we refer to them endearingly as “busy little bees”. As wonderful as honey is for our health, it is not suitable for infants (babies under 12 months). Honey contains bacterial spores that older children and adults may be able to handle. But babies’ digestive systems are much more delicate and is not yet fully colonized with beneficial bacteria to combat infantile botulism. Although this is rare, it can be potentially fatal.